Among the Ionian islands, Greece, Kefalonia is the largest and greenest. Kefalonia's spectacular scenery, the deep blue crystal-clear waters, the green mountains with secluded coves, the picturesque villages and the greek ambience make this island an ideal destination for fascinating holidays. People who come in Kefalonia island are thrilled by the imposing rugged mountain ranges and the valleys in between them that are filled with series of vineyards. 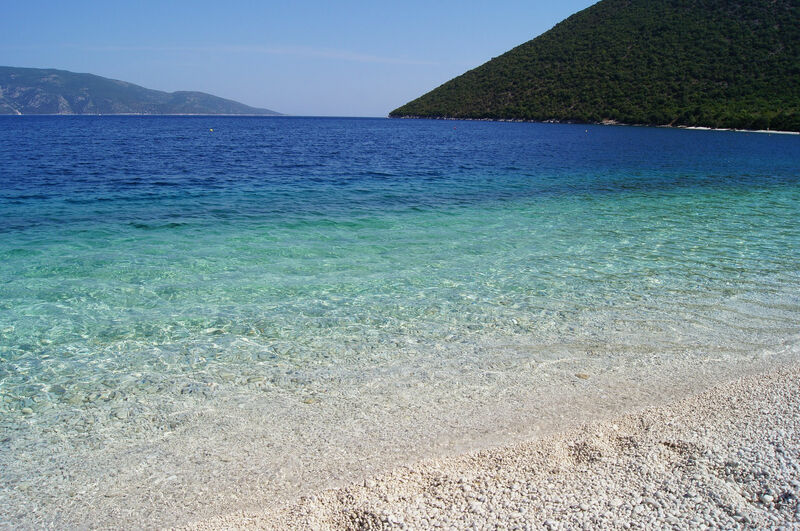 There are also some exotic Kefalonia beaches surrounded by giant cliffs that are filled with all types of vegetation. Every summer in Kefalonia, there is a huge influx of tourists who come here to visit the numerous villages and beaches. Argostoli, Assos, Lixouri, Poros, Sami and Fiskardo are the most favoured touristy spots. These villages of Kefalonia island have well developed tourism infrastructure to support the large number of summer tourists. 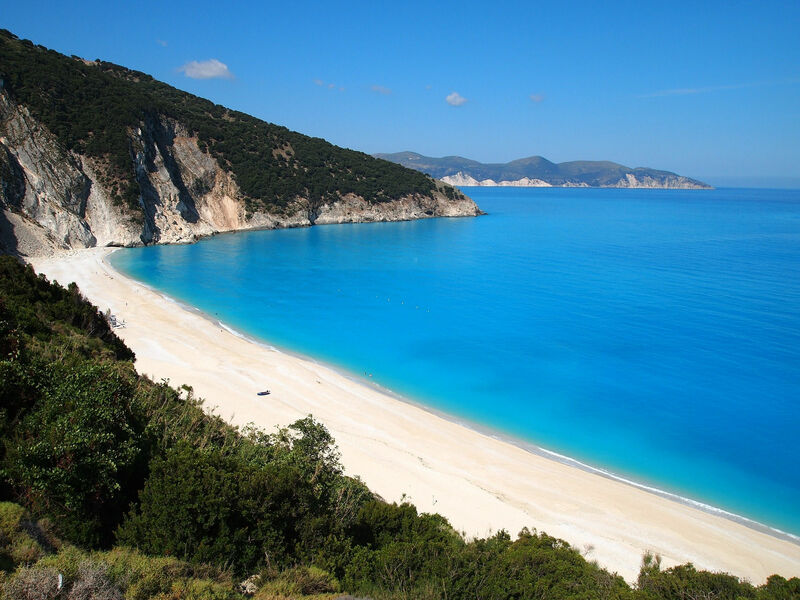 On the northern side of the island, there is the beach of Myrtos, the most photographed spot of Kefalonia. Its breathtaking beauty has been described by many as a "piece of heaven", a golden sandy beach surrounded by green, steep cliffs. 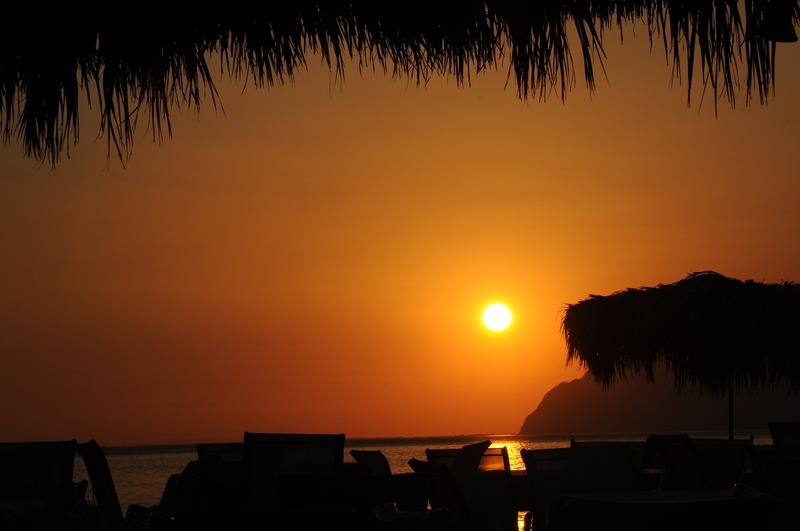 Many beach bars have opened above the bay of Myrtos and provide gorgeous view to the island. Another popular resort in Kefalonia island is Lassi, the most frequented spot close to Argostoli, the capital town of Kefalonia. 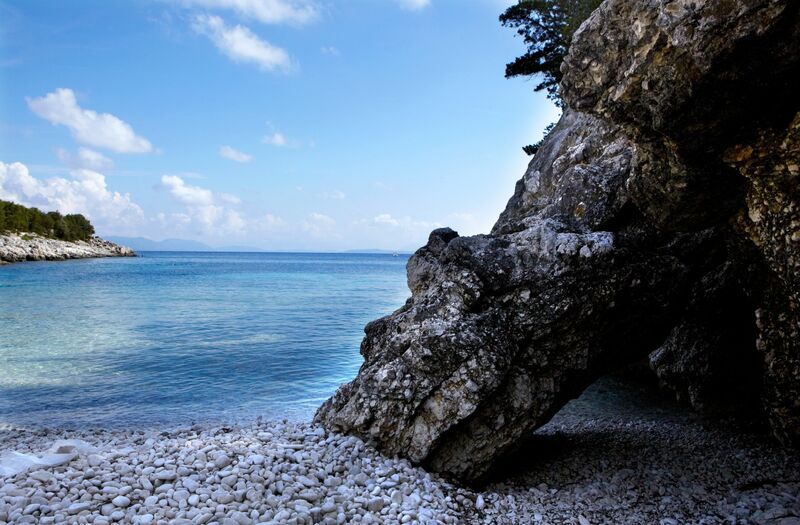 The beaches of Makris Gialos and Platis Gialos around Lassi are clean and beautiful. In fact, they have been awarded the Blue Flag for their cleanness, like many other beaches on the island. Family friendly and with many tourist facilities, the water is shallow in these two beaches and it is perfect for children to play there. 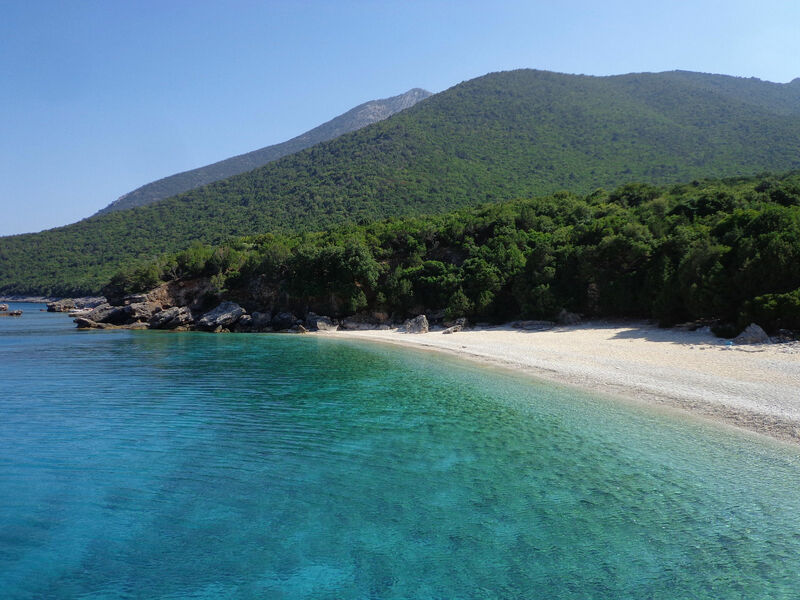 Another amazing beach in Kefalonia island is Antisamos, on the north eastern side of the island. 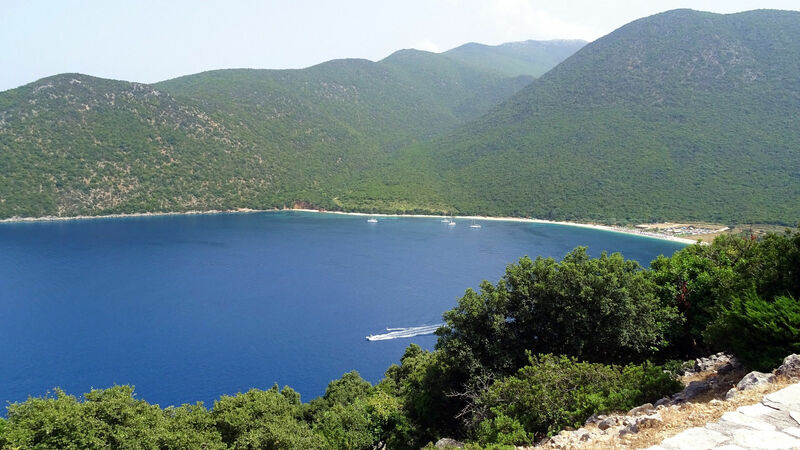 With golden soft sand, clean water and an amazing green landscape, Antisamos became famous mostly when scenes from the Hollywood film "Captain Corelli's Mandolin” were filmed there. Antisamos beach is close to the lake caves of Melissani and Drogarati, two amazing miracles of nature.